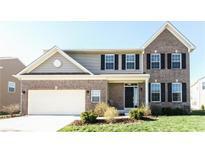 Below you can view all the homes for sale in the South Lake subdivision located in Greenwood Indiana. 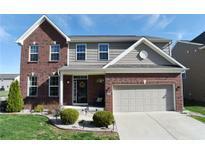 Listings in South Lake are updated daily from data we receive from the Indianapolis multiple listing service. To learn more about any of these homes or to receive custom notifications when a new property is listed for sale in South Lake, give us a call at 317-987-2530. Outside, there is a welcoming patio with a custom wrap around sidewalk which leads to the front and the Gorilla Basketball Goal. MLS#21633818. Trueblood Real Estate. This fully finished basement has a bathroom, recreation area with full bar and theater room your friends will truly admire. MLS#21631946. CENTURY 21 Scheetz. This is where your story begins! Come on home! MLS#21622472. Your Home Team. Commute is a breeze with an exit off of I65 just a moment away. MLS#21627769. F.C. Tucker Company. Don’t miss this one! Welcome Home! MLS#21619048. Your Home Team. All of this within minutes of I-65. Call this one “Home”! MLS#21617468. Your Home Team.